I've been wanting to make a paleo-approved version of strawberry shortcake in so long, so when this recipe turned out well, I was so stoked. I can't wait to share it with you. 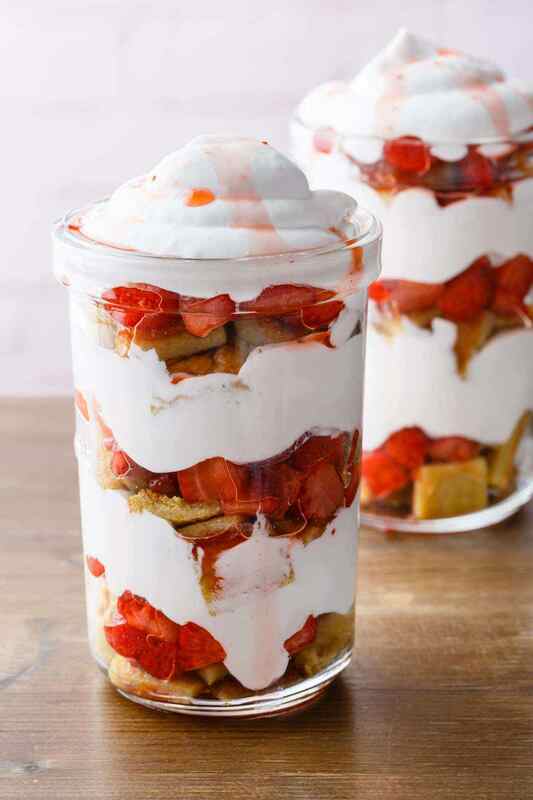 This strawberry shortcake in a jar recipe is sure to delight any dinner guests you have over. 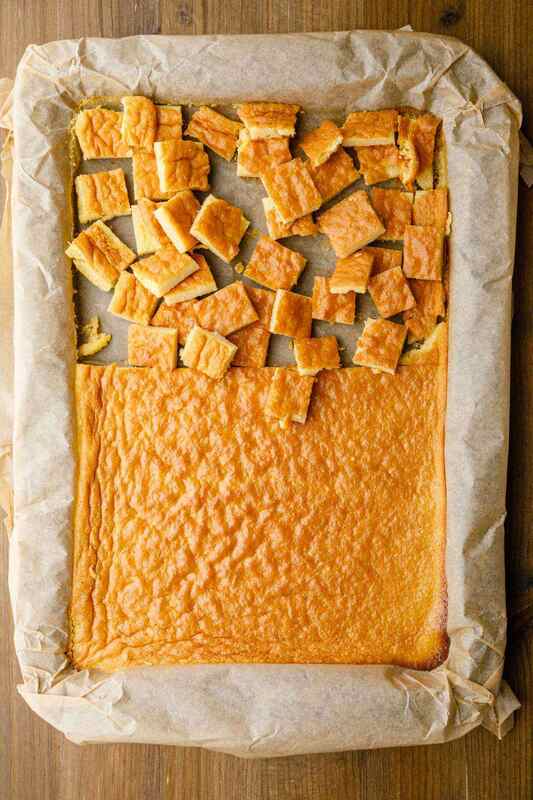 It’s also fairly straightforward to make as it only requires a little bit of your time and a few simple ingredients. 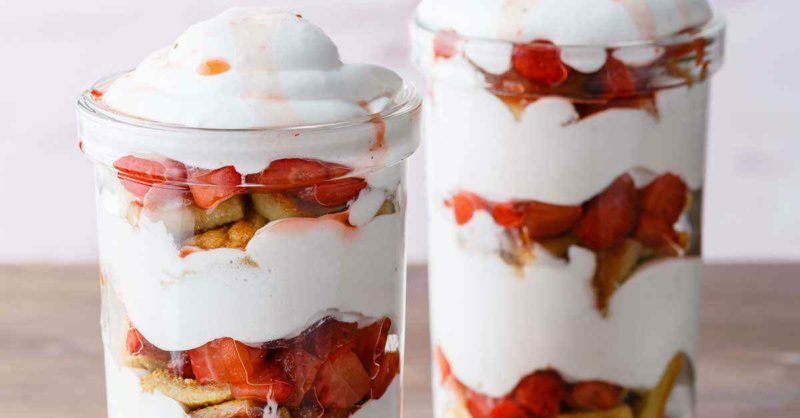 These shortcakes in jars have got everything you would want out of a good paleo dessert as well -- homemade versions of the shortcake with healthy ingredients, a whipped coconut cream topping, and a deliciously sweet strawberry sauce. Every single part of this strawberry shortcake in a jar recipe is made entirely from scratch so you know exactly what is going into your dessert. Normally strawberry shortcakes are made with plenty of sugar and refined flour, both of which are rather unhealthy and definitely off limits for anyone following a paleo diet. 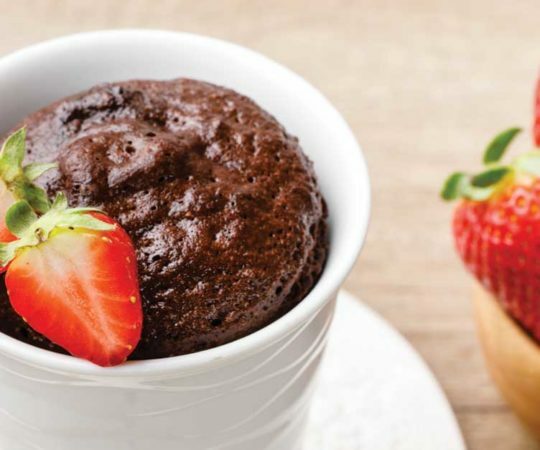 So for this recipe, starting with the shortcake itself, you’ll be using far healthier alternatives. Moving on to the whipped cream topping, you’re again going to be using honey as a sweetener. It’s combined with full-fat coconut milk and vanilla extract to make a delightfully rich whipped coconut cream. 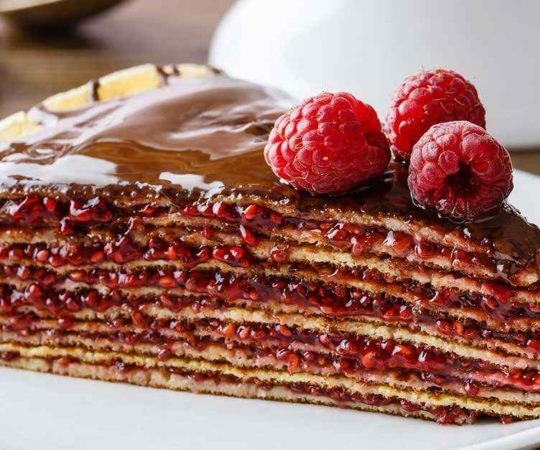 The coconut milk adds plenty of healthy fats to this dessert and combined with the coconut flour and coconut oil used in the shortcake batter, the whole dessert has a deliciously mild coconut flavoring. 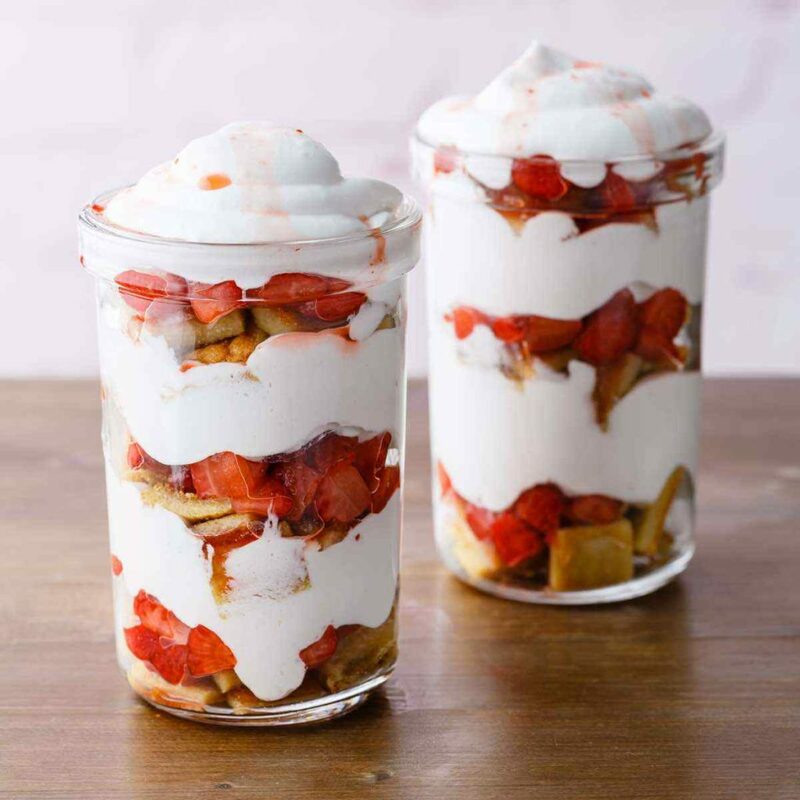 After you have prepared your shortcake, whipped coconut cream, and strawberry sauce all that remains is placing them together in your jars to complete this unique dessert option. This recipe makes approximately four servings of strawberry shortcake that is not only as delicious as its commercial counterparts but also an excellent dessert option for anyone who places an emphasis on healthy, nutritious eating. It’s definitely one treat that you won’t feel guilty about when you go for seconds, which is all but guaranteed to happen once you try it. Line a 7×11 inch baking tin with parchment paper. Set aside. 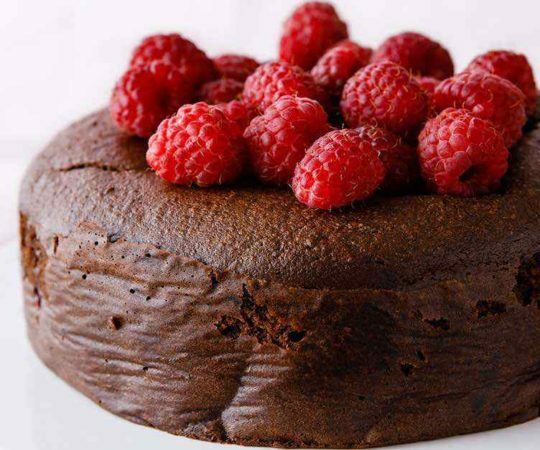 In a bowl combine the coconut flour and baking soda. Using an electric mixer, whisk the eggs and honey together for 8-10 minutes until the mixture has tripled in volume. Add the coconut oil, milk, apple cider vinegar and mix unit just combine. Add the coconut flour mixture and mix until combined. 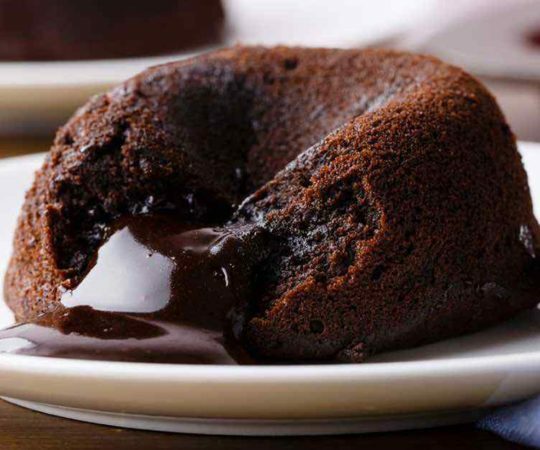 Pour into prepared baking tin and bake for 20-30 minutes or until golden brown. 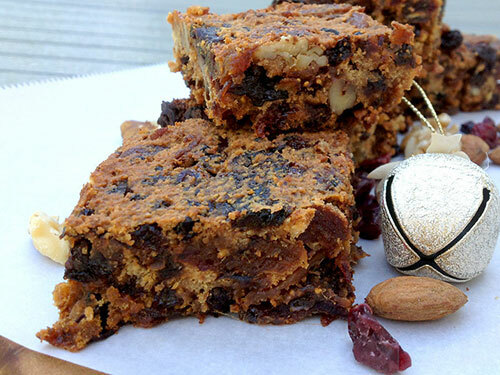 Cut into small cubes and set aside. To make the strawberry sauce, place the strawberries, lemon zest and honey in a bowl and mix to combine. Set aside. To make the whipped coconut cream, open the coconut milk cans. Scrape out the top, thickened cream and leave the liquid behind. In a stand mixer bowl, add thickened cream, 2 tablespoons of honey, and lemon zest. 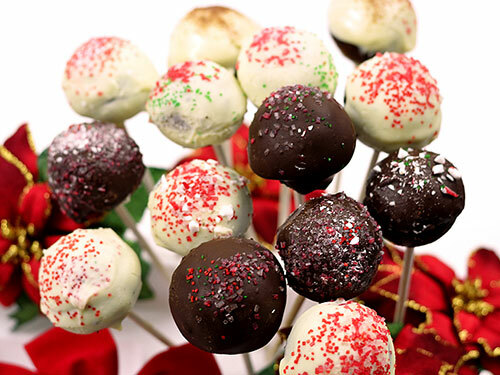 Whisk at the high speed for 10 minutes, or until soft and creamy. 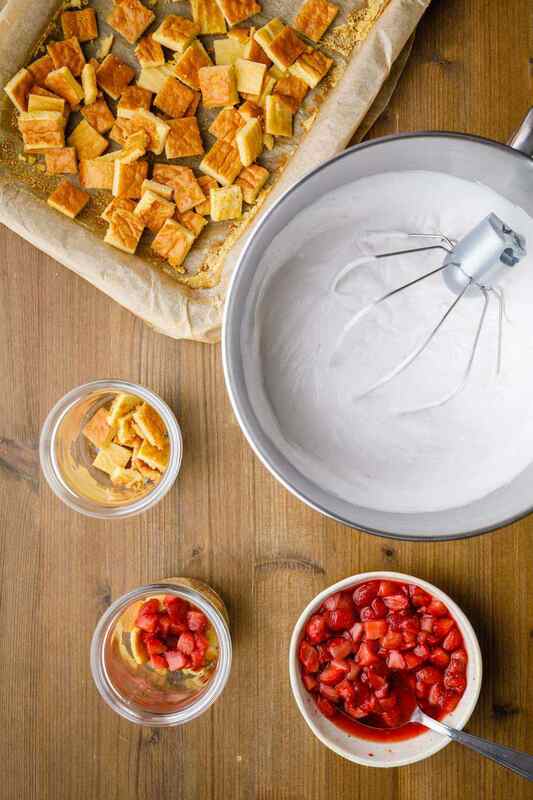 To assemble the shortcakes, place a small amount of the cake cubes into the bottom of four jars. Top with whipped coconut cream and strawberry sauce. Repeat the layers of cake, whipped cream, and strawberries.